Unlock Samsung Galaxy Grand I9082 - Safe IMEI Unlocking Codes for You! Unlock Samsung Galaxy Grand I9082 Handset! In case your Galaxy Grand I9082 doesn't ask for the code and there is no designated field to enter it, please DON'T PLACE ANY ORDER, contact us first for support. 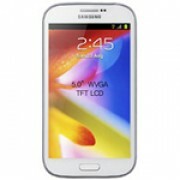 Start you enjoy your new Samsung Galaxy Grand I9082 smartphone unlocked! Fast and Safe Unlocking Service! Our unlock codes works for the latest models including Samsung Galaxy S, Galaxy II, Galaxy III, Galaxy Note, Infuse 4G, Omnia, Galaxy Skyrocket, Captivate and many more! 2. Choose the original country and operator of your Samsung Galaxy Grand I9082 and – not the one you wish to use after the unlock process! How to Unlock Samsung Galaxy Grand I9082 Phone - Tutorial! Please find bellow a step-by-step guide to follow in order to unlock your Samsung Galaxy Grand I9082. In case your phone doesn't ask for the code and there is no designated field to enter it, please contact us now for support. If I unlock my phone, it will be permanently or not?Please advice. hi my sister gave me a samsung galaxy grand duos 2 bought at Saudi Arabia , i dont know how much exactly the price and where it came or what country came from and what network its originaly form, im from Philippines now the SAMSUNG GT I9082 is not working because its SIM NETWORK UNLOCK PIN is not available thats why i cannot use my new cellphone,, what should i do ,,, pls help me im badly neede your help. Hi Marjorie! Sorry to hear that :( You need to contact your network provider and ask them to do that for you. Do I need to wait long hours to get the code?